Dr. Christopher Davis and his team of highly credentialed medical professionals assess and treat each patient’s individual needs, lifestyle, risk factors and entire medical history before compiling a comprehensive treatment plan to help them adequately achieve optimal health. This approach has earned Dr. Davis an outstanding reputation in the medical community and with his patients, for being able to successfully manage highly complex medical cases and achieve real results and sustainability. Using his blueprint, you harness your simple, self-care practices and changes of habit. These practices cover the 5 essential keys to resolving the underlying stressors that lead to the breakdown of health including your nervous system, your endocrine system, detoxification, nutrition and fitness. Recently, Dr. Davis created systematic wellness programs that provide the education, support and information required to help you take control of your health, while dispelling the ever-growing number of fallacies and myths related to this subject. Dr. Davis’ fascinating and refreshing approach to body transformation includes dedication to mind set, nutrition, a unique exercise program and hormone balance. This program will work for all ages, but offers additional specifics to the middle aged “Baby Boomers”. 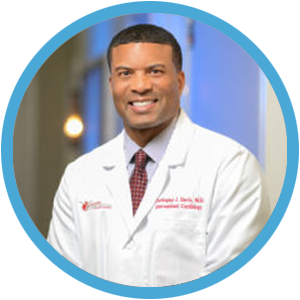 Dr. Davis practices Cardiology and Functional Medicine at Manatee Cardiovascular Wellness Institute and Reveal Vitality, where he incorporates nutrition, hormone balance, fitness and permanent weight control. His board certifications are in internal medicine, cardiovascular disease and interventional cardiology. Other specialties of practice include nutrition, fitness and functional medicine.